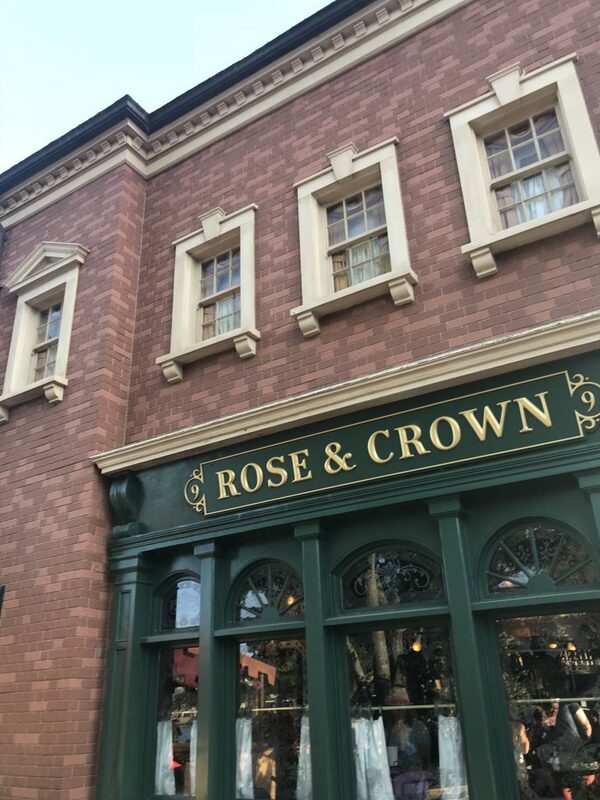 Located in the United Kingdom at Epcot’s World Showcase The Rose & Crown is a traditional British Pub serving great beer and English “themed” food. We review this venue and taste Steak, Fried Fish & Yorkshire Pudding. 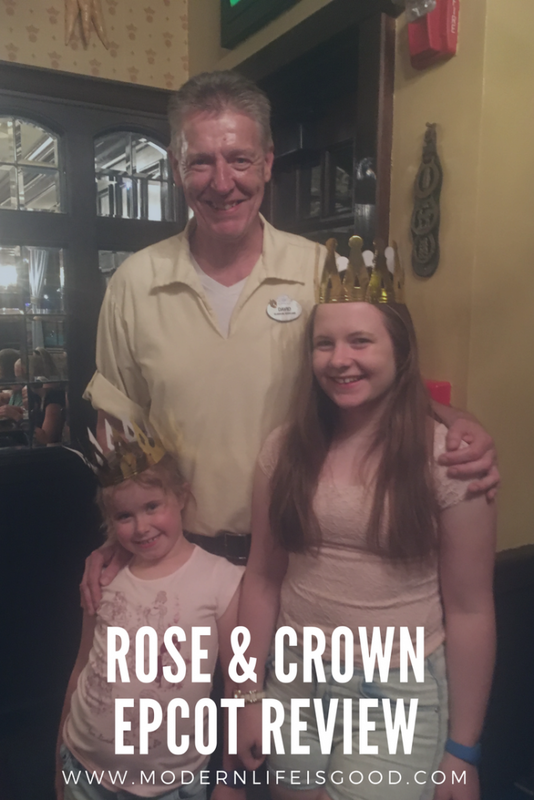 The Rose & Crown was always at the bottom of my World Showcase Dining Bucket List. Being British, it somewhat ruined the illusion that Epcot serves traditional International Fayre from its host nations. Nobody I know has ever eaten in the United Kingdom Steak, Fried Fish & Yorkshire Pudding. 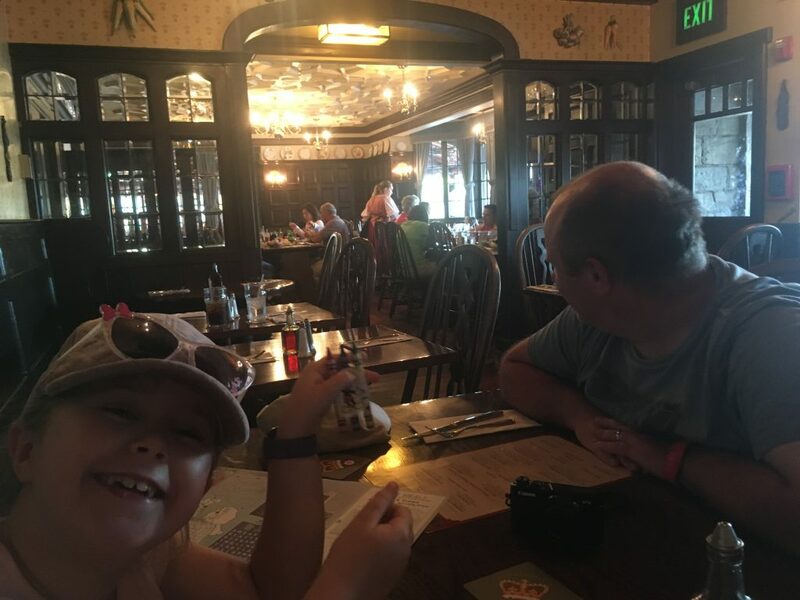 It isn’t a traditional British meal and I suspect the same can be said about the other National Dishes in World Showcase too. The venue itself is themed brilliantly. It looks like a genuine traditional English Country Pub. Sadly many of these pubs have closed throughout Britain in recent years. There is a wide choice of imported beers & ales that are not particularly cheap. The venue is split into 2 parts a drinking/bar area & a dining room. The dining area was a lot smaller than I expected. There is also an outside dining area which looks a great place to watch IllumiNations. 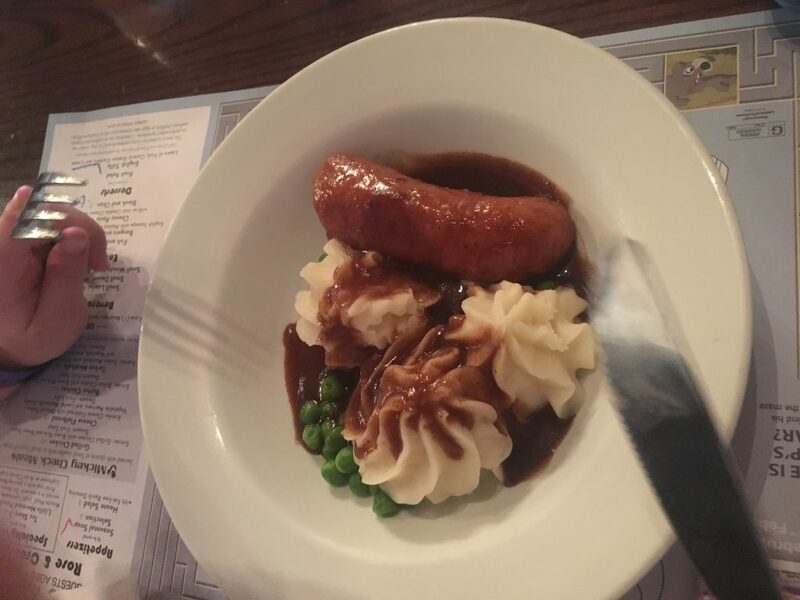 The menu is varied and dishes include Bangers & Mash, Fish & Chips and Shepherd’s Pie. There is a good children’s menu available. The Disney Dining Plan is accepted and costs 1 Table Service credit. Allergy menus are available. My own choice of meal? 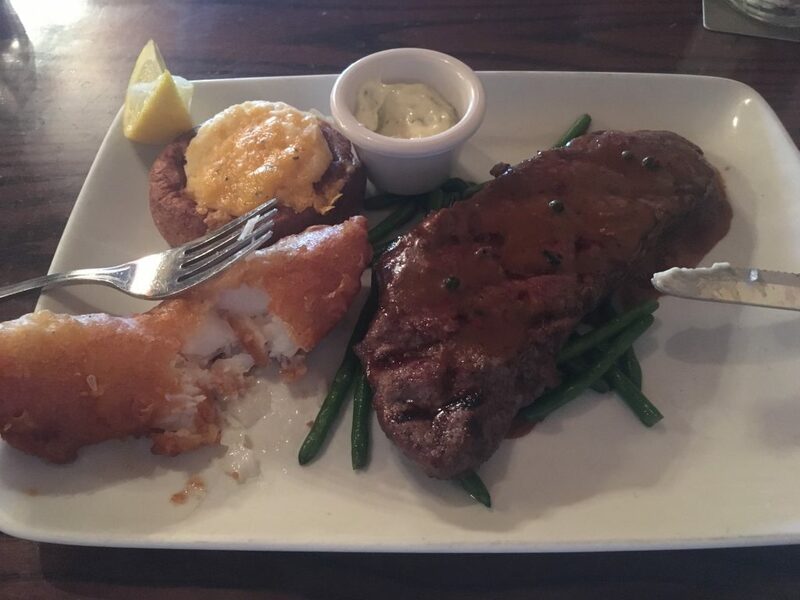 I was too intrigued by Battered Fish, Steak & Yorkshire Pudding not to give it a try! Fried Fish Steak & Yorkshire Pudding. It is yummy! 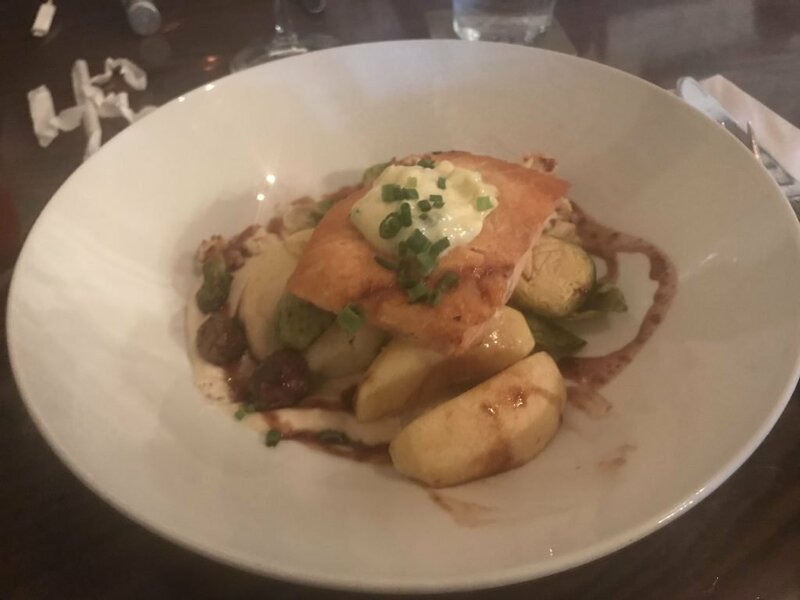 Our waiter, David from Glasgow, explained it was a twist on Surf & Turf and was an extremely popular meal at the Rose & Crown. He explained it was a deliberate twist for the American Market and based on dishes which were familiar. I expect other locations in Epcot have taken a similar approach. The meal itself was delicious and I am now a converted Fried Fish, Steak & Yorkshire Pudding lover! Overall we loved the Rose & Crown. Food was brilliant and the service was First Class. 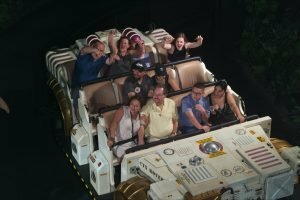 David was one of the best cast members we have encountered at Walt Disney World and we even nominated him for a cast compliment on Twitter. 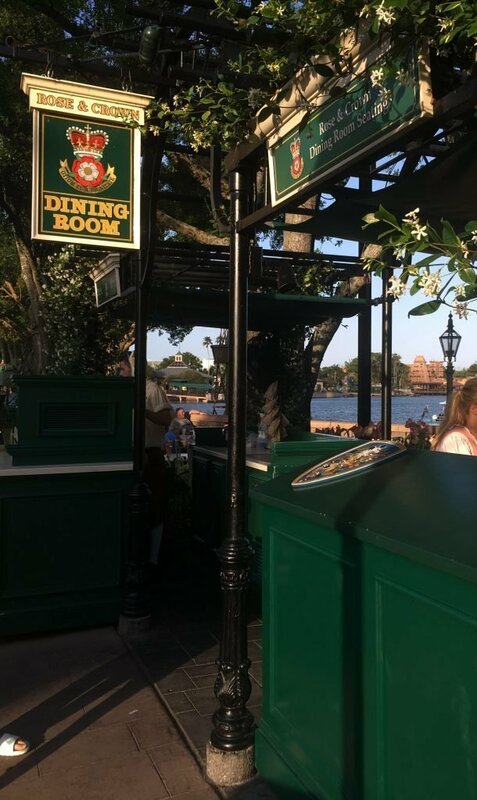 The Rose & Crown is certainly no longer at the bottom of my World Showcase Dining Bucket List. I am sure we will return soon. We have created a brilliant Guide To Walt Disney World to help plan your vacation.